The Acon Valley is a natural site is a history-laden location as it was often used as a living area from the Mesolithic era by the last prehistoric hunter-collectors. Later, the Roman army took advantage of the lie of the land and this valley’s strategic position to build a fortified camp. 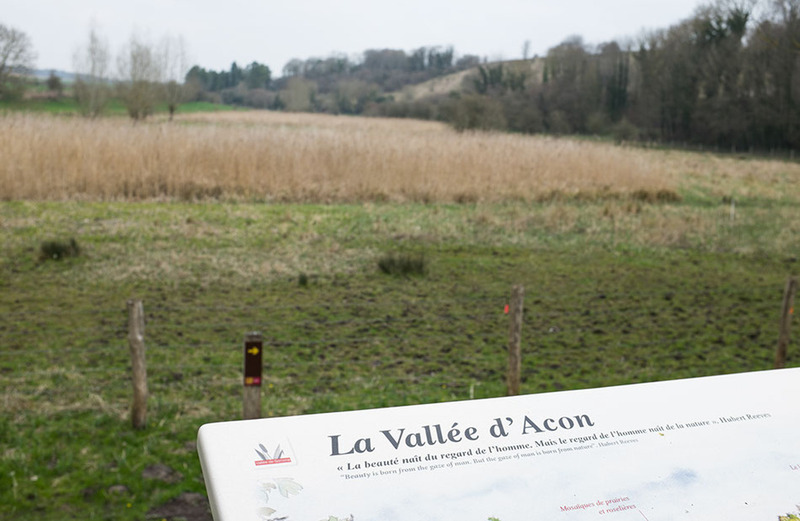 Apart from its historic interest, the Acon Valley area is of great ecological and landscape interest, as it is made up of several natural environments: wetland at the bottom of the valley, chalk grassland on the sloping side and an underground chamber home to bats.